When I think about Dior, I don’t think of the botched new versions of great classics, of the demise of some of the most important scents in perfume history, no, strangely enough and quite contrary to my usual character, when it comes to Dior, my mind refuses to hold on to the bad news and fixates on the good news instead. I own four bottles of the collection, despite their humongous size (Dior calls the 125ml bottle their travel size! People, think! That is not even consistent with airplane regulations! Let’s talk about a 50ml size, or at least 75ml, like the Chanels, huh?) and I wear them regularly. In case you are wondering, these are: Ambre Nuit, Patchouli Impérial, New Look 1947 and Mitzah. 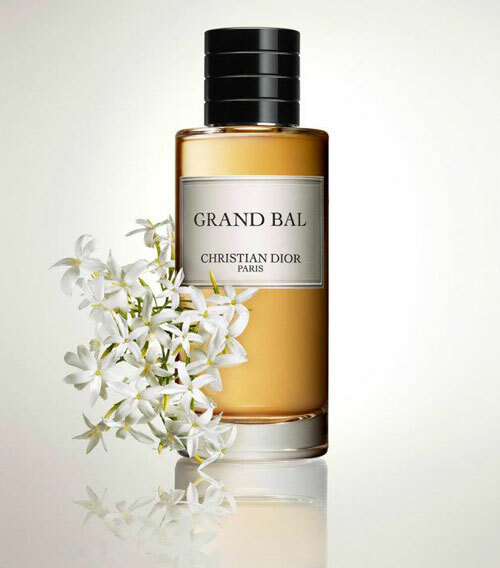 Grand Bal was created by Francois Demachy in 2012 and includes notes of ylang-ylang, orange blossom, jasmine, sandalwood and tonkin musk. Grand Bal is a lovely jasmine perfume. It is soft-spoken and intelligent, warm and inviting, pretty and easy-going. Opening with a fresh, orange blossom-tinged jasmine, it does not develop in a spectacular manner, no hoops are jumped, this is more of a what you smell is what you get perfume. What may sound like damning it with faint praise, is my genuine appreciation of a perfume that simply strives to smell good and enhance the aura of everybody who chooses to wear it. The drydown is a sweet and warm jasmine enhanced by woody and musky notes, a scent that never overwhelms, but has a comfortable presence throughout its four to five hour wear time. Grand Bal is not the world’s most innovative, outrageous or unique fragrance, but as I have learned over time, sometimes a good, classic, reliable and well-made perfume does the trick for me a lot better than the equivalent of a pink elephant wearing glasses. This entry was posted in Dior, Dior La Collection Privée, Floral, Fragrance Reviews, Jasmine and tagged Dior, floral, Fragrance, Francois Demachy, Jasmine, La Collection Privée, Perfume, Review. Bookmark the permalink. 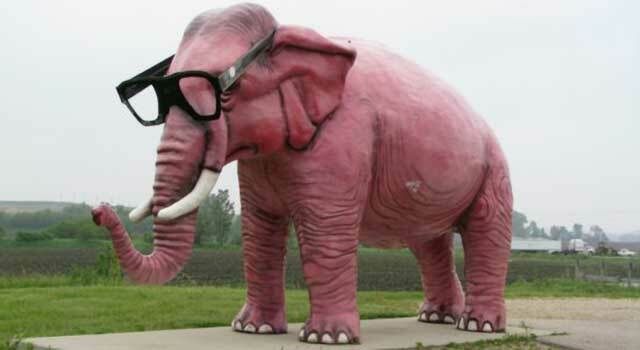 How true your comment of a pink elephant wearing glasses, sometimes I feel I should like something because it is more challenging and creative and it is hard to ignore on the fragrance forums but I have come to realise that I do sway more towards the classics and easy to wear fragrances. I was actually pleasantly surprised that I liked this one as much as I do with it being a jasmine fragrance, no shouty screechy jasmine in this one. The 250ml bottles are a splitters dream but I am not sure what to do with it once I am down to the level I want to keep for myself, it is a bit hefty to carry around and definetly does not fit in ones handbag. Lol, handbag-friendly there are really not. Totally agree with your last para! I’m saving my mini of Grand Bal for next summer to fully appreciate it, but it is very approachable for anyone who usually finds jasmine too much. I was surprised how fresh it was. I also share the love for La Collection Privee. I own Bois d’Argent and have recently become very taken with New Look 1947. Oh and to say 125ml is a travel bottle is ridiculous! That is lovely to hear that you are enjoying New Look these days, it is exactly the same with this one, it feels totally “me” in an unobtrusive, everyday way. It’s so true that sometimes you just want a easy to wear, pretty perfume. I think different people have differing ideas of what might fit that category but I would bet that everyone has their little arsenal of scents just like that. I know I like scents that I don’t necessarily have to think too much about. I won’t be seeking this out but if it ever crosses my path, I will give it a sniff because I do love jasmine. What are your easy to wear, go-to scents, Poodle? I know what you mean, large lines can be so overwhelming. I was very positively surprised with Dior’s CP – I even managed to convince my generally Chanel obsessed mother-in-law to go with Ambre Nuit instead… I own a 125 ml “mini” of Granville (ridiculous !!!!!!!!!) and some generous decants (thanks to Andrea:-) ). Impressive that even your Chanel-loyal MiL fell in love! I was surprised of how well this worked at the end of summer. It is was a perfume that made me smile and it came home with me! Love the simplicity and beauty. We are on the same page once more. It is a happy perfume! Admittedly, I like the more challenging of the Collection Privée: Oud Ispahan (which maybe isn’t all that challenging), and Eau Noire. But Grand Bal is very pretty. My mom and I sniffed it recently when she was looking for a jasmine perfume, but found it strangely fruity? Or maybe I was just overwhelmed by everything else! Oud Ispahan was too barnyard-y for me and Eau Noire is cumin-central, but I still find both extremely well done. So this is really a great line in general. I’ve been patiently waiting for you to review “my” Dior Privee :-). I immediately loved Grand Bal when I got into trying all the Private Collection line but, it certainly isn’t the most unique or complicated scent around. But, as you say, sometimes you just want something that smells great and makes you feel pretty, not something you have to learn to appreciate. Did you know that you can get the Dior Privee’s at Sephora over here (and just about every other big department store)? They are not so exclusive in Dubai (but much more expensive than the US). Oud Ispahan is the one I am coveting now…. Dubai must be a perfume paradise indeed. Glad you love Grand Bal, I can imagine it suits you very well. Undina got me onto Grand Bal. What a yummy scent. I am sad to say that Grand Bal was my least favorite of the line. But Mitzah….now you are talking the language of Lainer love! Ambre Nuit has a rose that sends me over the moon. Well more on that and Leather Oud and Oud Isphan later. Lovely post …you always get me thinking. It is not comparable the beauties you mention, since it is much simpler and clearer, but that is sometimes just what is needed. Although I adore Mitzah and Ambre Nuit, I can’t wear them on a daily basis. I looooved your Mitzah review today, so beautifully written! You know from what you just wrote …again you make me take a moment and think. I will revisit Gran Bal again when next I am at Dior. Thank you so much for your kind words about my Mitzah review! If they had 30 ml bottles I’d have gone for at least 5 perfumes – Grand Bal would be one of them. But with those “friendly” travel bottles… It’s one for me for now – New Look. I think, Mitzah will be next. Yay, New Look! I’m very happy you are choosing this one, it is sooo nice. I have not had a chance to smell any of these,however, whilst reading differing reviews of these the only one which really interests me is Mitzah. And if 250ml is their “travelling size’, how many mls in the “regular bottle’? Where may one purchase? The be fair, their “travel” size is 125ml, not 250ml, but it is still ridiculous. 🙂 But there is a 400ml size available, in case you really want to go to town with Mitzah. I’m not sure where they are available in Australia, but I know that Australian Perfume Junkies (i.E. Portia) knows all about availability down under. I realize that you posted this a while ago, but. But. But. It’s a perfume, not a beverage! Am very interested to try this, both for me and my Fracas-loving friend who is now turning her attention from tuberose to jasmine. A covert sample pot scoring mission in a top London store is called for when I am down next – the friend with an upcoming milestone birthday usually hits the spot on such occasions. Their new samples look like mini-versions of the big ones, including the hat-box packaging, too cute. I hope you score on your next mission. is there grand Bal for men and grand bal for women? or is it just eau de parfum for women??? There is just one Grand Bal, and it is deemed unisex, although it is probably leaning on the feminine side… But I know that there are many men wearing it as well. Just got Gran Ball from Garrett at the Dior store in Vegas. Even though it has a femine touch I just can’t get over how amazing it smells. The price with $230 for the 8.4oz bottle no shipping and no tax. Plus Garrett threw in .25oz of Leather Oud and 4 other vials so I could test out Vetiver, Ambre Nuit, Bois D’Argent and Mitza. He also threw in a sample of the Dior Homme Intense which they carry there, seriously an AWESOME transaction! So Excited!!! The number there is (702) 734-1102. That is great service indeed! Glad you are happy with your Dior!